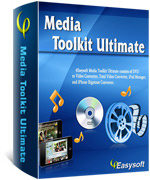 4Easysoft Media Toolkit Ultimate is composed of four brilliant software: DVD to Video Converter, Total Video Converter, iPod Manager, and iPhone Rigntone Converter. So, 4Easysoft Media Toolkit Ultimate is your best choice to rip/convert DVD, convert video, and rip iPod/iPhone, even convert iPhone ringtone in all on one solution. With 4Easysoft Media Toolkit Ultimate, you are easy to convert DVD, rip DVD to AVI, MP4, WMV, MOV, M4V, FLV, SWF, 3GP, and HD H.264.and more - DVD to Video Converter. And convert video to those video/audio formats -Total Video Converter. Copy iPod video/audio to Computer, import files from Computer to iPod, even copy iPod to iPod - iPod Manager. Along with the feature to convert video/audio to iPhone M4R ringtone - iPhone Ringtone Converter. 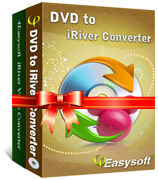 4Easysoft DVD Converter Suite provides you the DVD ripping and video converting functions simultaneously. 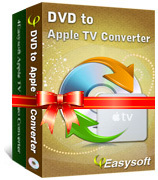 Actually it combines DVD to Video Converter and Total Video Converter into the all-in-one tool. So it can rip any DVD to AVI, XviD, WMV, VOB, WMA, MP3 and such video/audio formats. Also convert between all common video formats, even the HD video. Then you can enjoy your favorite DVD movie or video clips on any players. 4Easysoft DVD to PSP Suite is bundled with DVD to PSP Converter and PSP Video Converter. Therefore, it aims to convert DVD and any video to MPEG-4, H.264, AVI, H.264 HD, DivX, DivX HD, XviD, XviD HD, HD MPEG-4, H.264/MPEG-4 AVC, WMV, HD WMV video for PSP, PS3. 4Easysoft DVD to Pocket PC Suite is mixture discount suite of DVD Pocket PC movie Converter and Pocket PC Video converter software. The one function – DVD to Pocket PC Converter is to convert DVD to Pocket PC, HP iPAQ, Dell, as well as General Pocket PC, etc. Another function – Pocket PC Video Converter is to convert video to Pocket PC. 4Easysoft DVD to BlackBerry Suite provides you two BlackBerry Converter, the functions of DVD ripping and video converting simultaneously. Actually it combines DVD to BlackBerry Converter and BlackBerry Video Converterinto the all-in-one tool. So it can rip any DVD and convert any video to BlackBerry MP4, WMV, AVI, 3GP, AAC, MP3, M4A, WMA, AMR and such video/audio formats. Then you can enjoy your favorite DVD movie or video clips on BlackBerry player. 4Easysoft DVD to Archos Suite makes your DVD and videos portable on your Archos, due to it's the solution to convert DVD and mainstream video for Archos compatible video/audio formats. 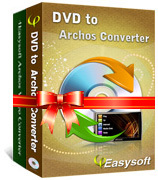 That's to say, 4Easysoft DVD to Archos Suite is the discounted bundle of DVD to Archos Ripper and Archos Video Converter. Well designed for DVD to Google Phone, 4Easysoft DVD to Gphone Suite owns the solution of DVD to Gphone Converter and Gphone Video Converter. 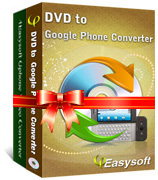 So, with 4Easysoft DVD to Gphone Suite, you can convert DVD to Gphone/G1 video formats MP4, WMV, H.263 3GP, H.264/MPEG-4 AVC and convert mainstream video formats to Gphone (G1) 3GP, MPEG4, H.263, H.264, WMV etc in super fast conversion speed and excellent video/audio quality. 4Easysoft DVD to Sansa Suite is the discount Sansa Converter, which is the combination of DVD to Sansa Converter and Sansa Video Converter. Using this DVD to Sansa Suite, you are easy to convert DVD to Sansa MP4 and WMV video and convert video and audio files to Sandisk Sansa compatible formats. 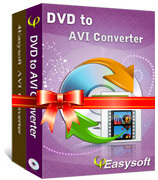 4Easysoft DVD to AVI Suite comprises of DVD to AVI Converter and AVI Video Converter, so with the single tool, you can get AVI format from both DVD and popular video files. The converted AVI file can be used on Creative Zen, BlackBerry, Archos, PSP, PS3, Wii, Xbox, Xbox 360, and more. 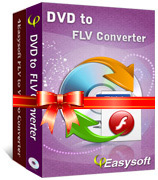 4Easysoft DVD to FLV Suite is the special-designed FLV conversion suite tool for converting both DVD and video to FLV. It is the combination of DVD to FLV Converter, and FLV to Video Converter. It can easily rip DVD to FLV (flash video), SWF formats as the DVD to SWF Converter. Meanwhile, you can convert FLV, SWF to mainstream video files with this powerful tool. 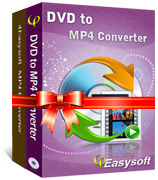 4Easysoft DVD to MPEG Suite is best DVD to MPEG Converter and MPEG Video Converter. For it is possessed of the double function of converting DVD to MPEG and converting video to MPEG. Use this suite tool to convert DVD to AVI, MPEG, MPEG-1(.mpg), MPEG-2(.mpg), Super VCD(NTSC, PAL, SECAM), VCD(NTSC, PAL, SECAM), HD videos even to VOB file and convert AVI to MPEG, MPEG to AVI, MP4 to MPEG, etc. As the all-round tool, it can also convert DVD and video/audio to MP3, M4A, WAV, WMA audio. 4Easysoft DVD to 3GP Suite is a discount software pack which is especially made to convert other videos and convert DVD to 3GP, 3G2 and more video/audio formats for your portable player at a lower price. It includes two useful applications: DVD to 3GP Converter and 3GP Video Converter.